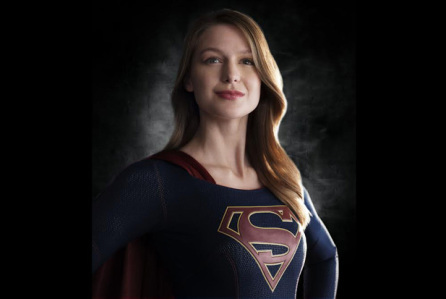 CBS has given an early pick up to a new superhero drama, Supergirl. According to Deadline, the network had an early deadline to decide on the project as part of their pilot deal with Warner Bros. TV. Co-created and executive produced by Greg Berlanti, the Supergirl series is based on the character from DC Comics that was created in 1958. The show will revolve around Kara Zor-El (Melissa Benoist). Like her cousin Superman, she was born on the planet Krypton and escaped its destruction years ago. After years of hiding her powers, she decides as a young woman to embrace her abilities and become a hero. Other characters include Cat Grant (Calista Flockhart), Alexandra “Alex” Danvers (Chyler Leigh), James Olsen (Mehcad Brooks), and Hank Henshaw (David Harewood). What do you think? Do you think that you’ll check out the new Supergirl TV show next season? what a wonderful show! Nothing major, just good entertainment. I don’t expect much more out of network tv anymore, and it IS entertaining! I enjoy Supergirl. It is well acted great cast and full of action and suspense! I hope it is renewed. Wishing them great success! CBS better have high hopes for SUPERGIRL but I really don’t know if the series has potential to be one of breakout hits for the upcoming TV season. Love Arrow and the Flash and see no reason why this incarnation of “Supergirl” will not be just as good coming out of the same Berlanti Stable that produces the Arrow and Flash shows…I’m 65, and was 8 when Supergirl was first introduced into the comics. The movie for the 80’s was horrible, and the character as depicted in the “Smallville” was acceptable but not quite right…Looking forward to seeing how this new series plays out…Wishing them great success! Yuk! Not another Super hero show…. I’ll be skipping this one & we don’t have any 10 yr old boys in the house to watch it, either! How UNoriginal. This could be a very good show. She’s cute and this could evolve into a long series if they play it right. Let’s give it a chance. Hey they gave The Mindy roject some time and that wasn’t my favorite.